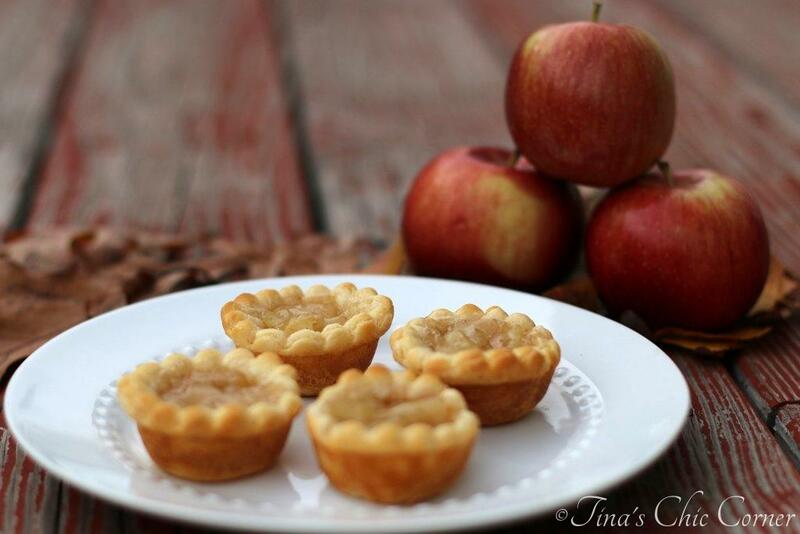 These tiny apple pies are a perfect Fall time treat. Grease 14 cups of a mini muffin tin and set it aside. Lay out the crescent rolls on a flat surface. Using a round cookie cutter slightly bigger than the top diameter of your mini muffin cups, cut out the round shapes. Once you run out of dough that is easy to cut circles out of simply ball up the remaining dough and roll it out again. Your goal is a new sheet that has the same thickness as they were right out of the can. Repeat until you have no more dough left. Gently press each round of dough into a mini muffin cup. Bake them in the preheated oven for 12 minutes or until the crescent roll edges are a golden brown. I like to make recipes from scratch, but there is something to be said about a two ingredient semi-homemade recipe. Picture those moments when you have a hungry crowd begging you for breakfast or you just found out that you need to make dessert for a function and only have a few minutes to spare. We’ve all been there. This recipe is the ideal solution. 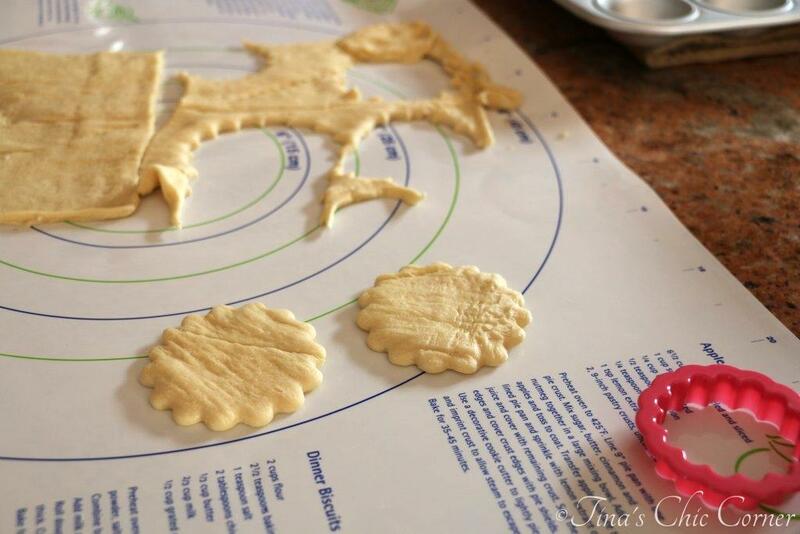 Pretend like you’re making cut out cookies. I have a tub of 101 cookie cutters and found this cute fluted round shape. Any sort of edges will do as long as it’s basically round. 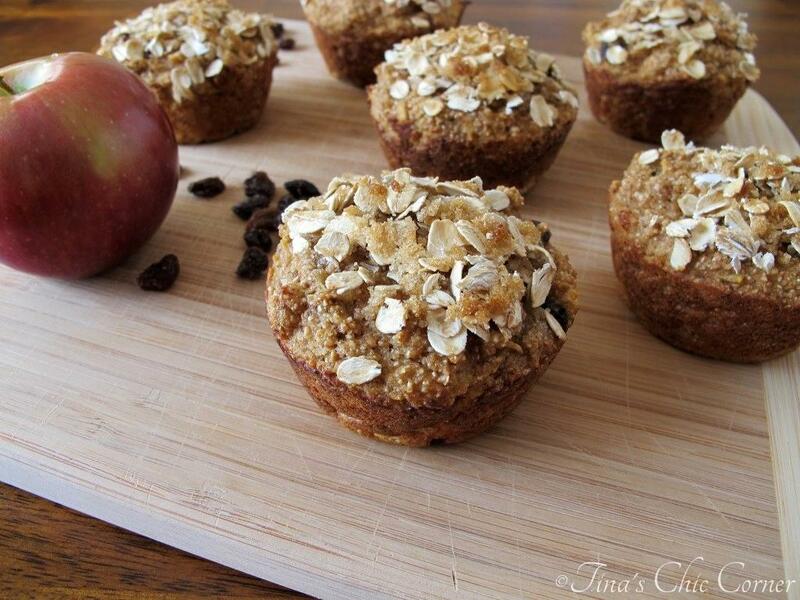 Gently press each crescent round down into each muffin cup and fill them to the top with the apple filling. What do these adorable pies taste like? 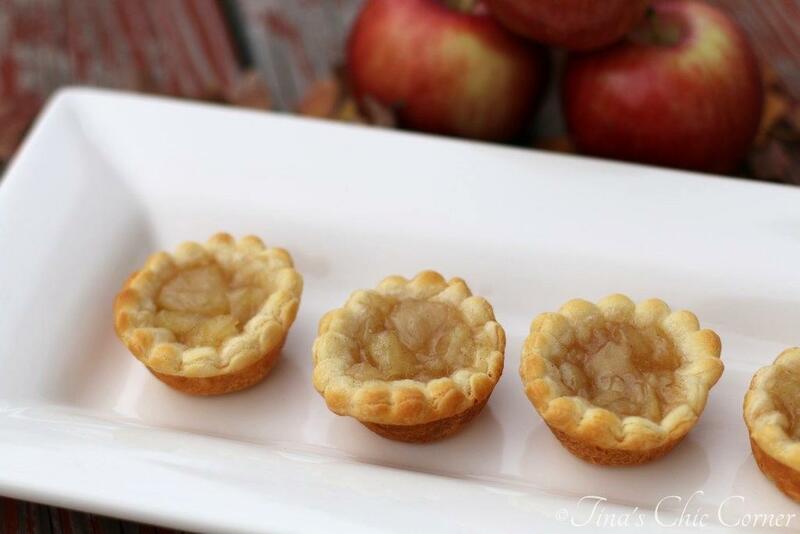 Uh, tiny apple pies, duh? Shocking, I know. Crescent rolls are an awesome way to cheat at getting a flaky buttery pie crust. If you want to go the extra mile and make homemade pie crust, don’t let me stop you. Feel free to use my Flaky Amazing Pie Crust recipe. I’m kind of obsessed with Pillsbury’s crescent rolls. If you’ve made these and realize you need more, just hop over to Hamburger Pie, Cheese Danish, or Raspberry Cheese Danish and bake your next craving. 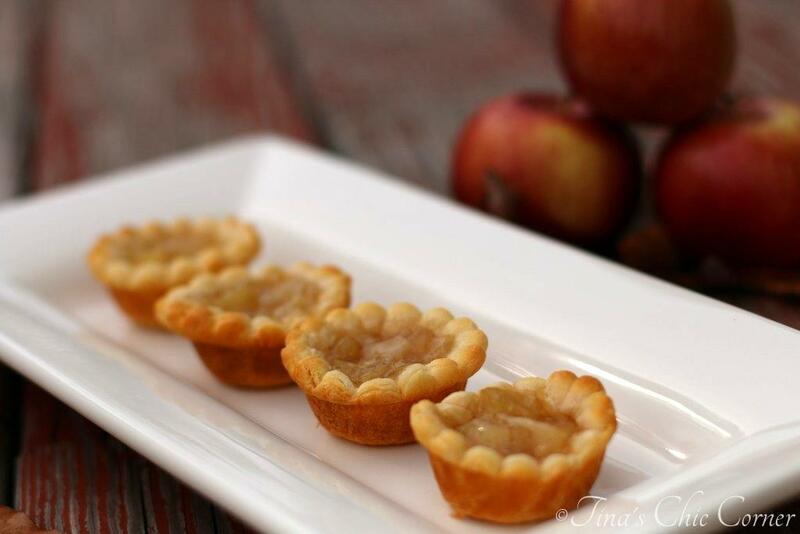 Apples are synonymous with Fall time baking so these mini apple pies couldn’t come at a better time. Do you want to know a secret? 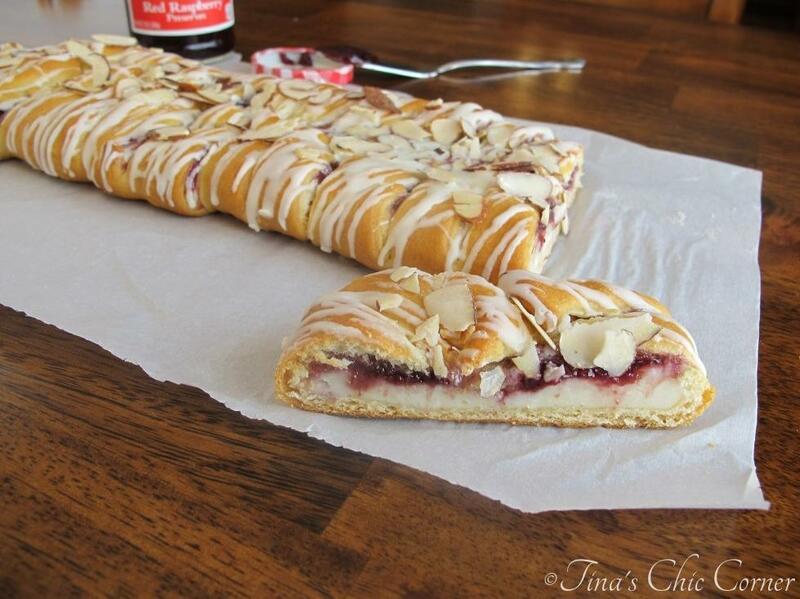 Since the apple filling comes from a can you don’t have to wait for apples to be in season. You can enjoy them all year long. 🙂 I have to admit that I wasn’t sure what to expect from a pre-made filling, but Duncan Hines’ apple filing tastes delicious. The apples are tender and the “goo” is the perfect amount of sweetness and cinnamon flavors. Note: Not a paid advertisement for Pillsbury or Duncan Hines. I’m just sharing my opinion. Those are the cutest little things!!! What a great little sweet treat! You simply had me at two ingredients, Tina! Love how super cute these are. They are so adorable to even present at a dessert table kind of party. You’re amazing! 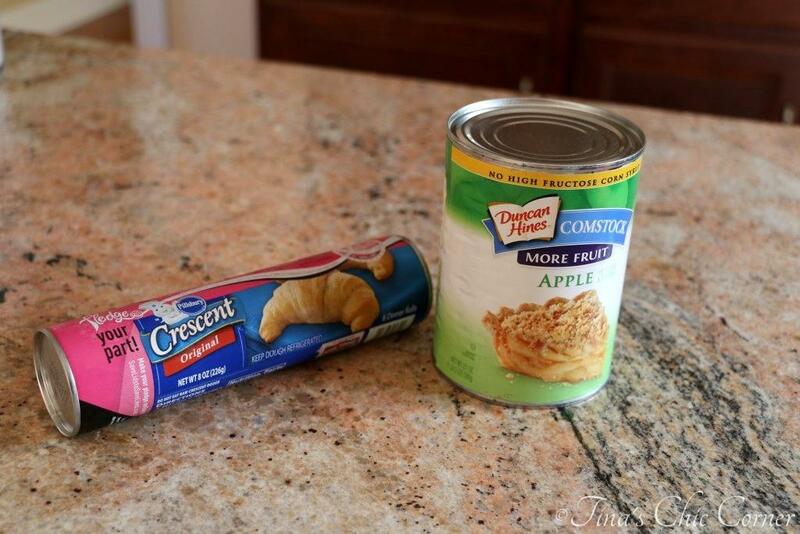 “Crescent rolls that just happen to come with fruit”. Purely genius. I’d totally have this for breakfast, since they look out-of-this-world delicious. And cute, oh darn, they so lovely it makes it hard to eat them. Although I’d definitely be able to pop a few of these into my mouth now… it’s dinner time here and I’m ravenous GAH. Have an awesome weekend, Tina! These are adorable! 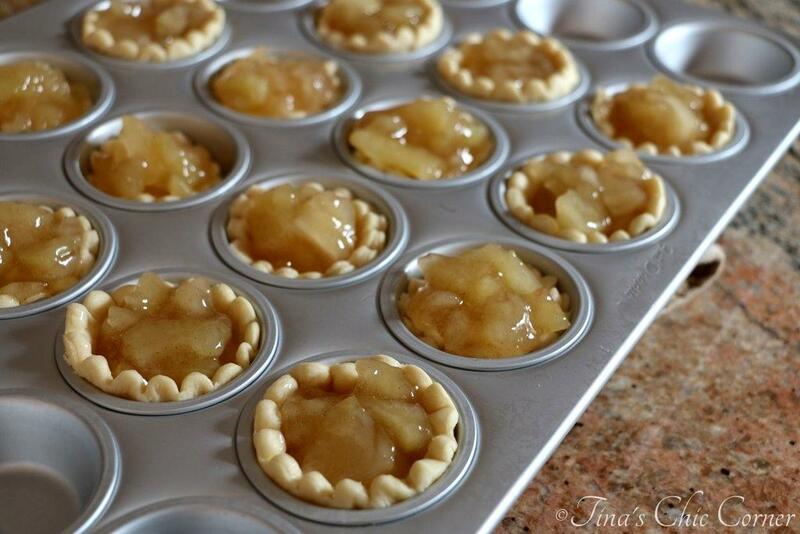 I love making tiny apple pies and the shortcut is an added bonus! haha when I’m home from school I take pictures outside a lot. I’m pretty sure my neighbors walking by think I’m crazy! I’m pretty sure I wouldn’t be able to stop popping these in my mouth! So darn cute and easy to make. These need to get on to my snack menu. These are so cute, Tina! I love easy recipes like this. Pinned! 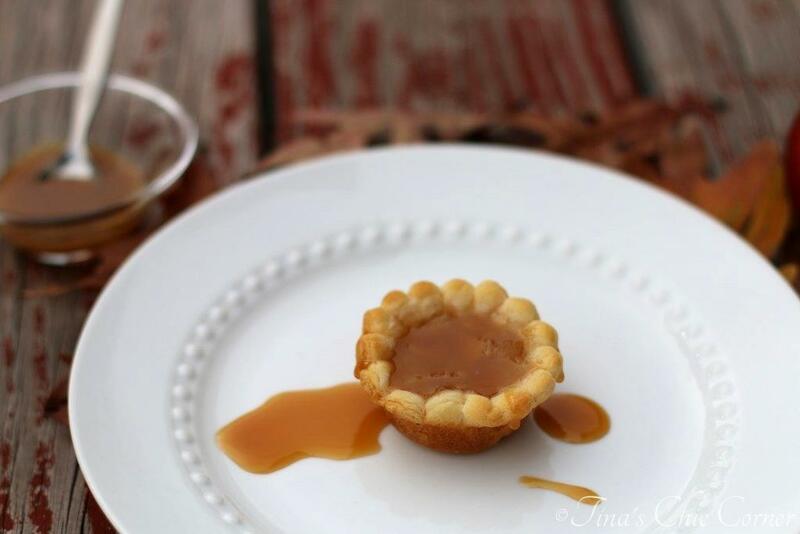 I love that you added caramel! Would be hard to resist ice cream though! 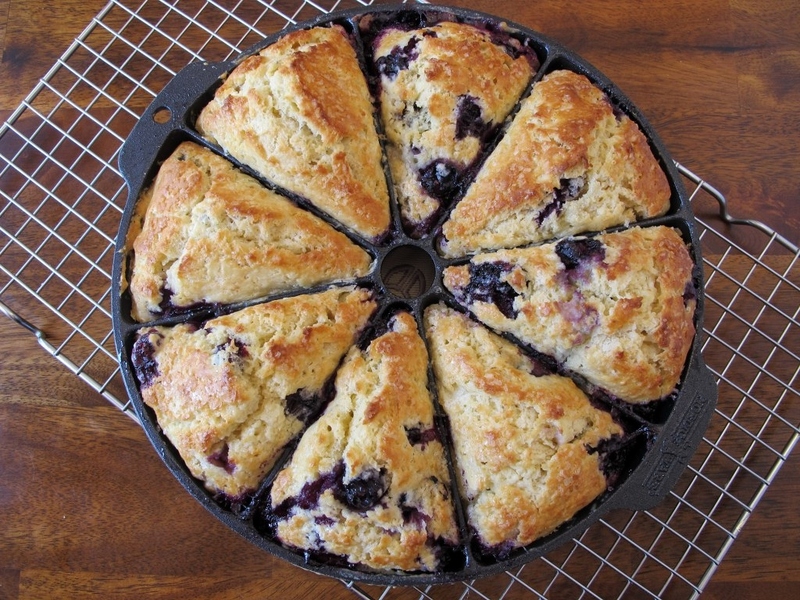 I love the ease of this recipe! breakfast and pie. Those 2 words should always be in the same sentence! I love these cute little things! Thanks for sharing these at Saturday Night Fever Tina! Totally agree. 🙂 Love Saturday Night Fever link party!